With the release of 1.8 there are several things to be excited about. From armor stands to flags, and new doors to Ocean/Water temples, 1.8 was a feature packed update with tons of new adventures to take, items to craft, and so on. 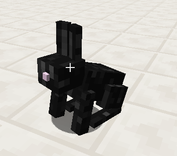 Minecraft rabbits are one of the new mobs added to Minecraft; they are quite the elaborate addition. 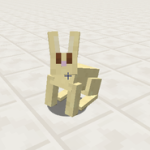 The new Minecraft rabbit has 6 natural variants, with one variant obtained using a name tag and one hostile variant, bringing the grand total to 8 variants possible. 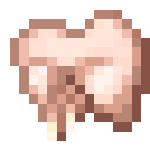 New drops include rabbit hide, the rare rabbit foot, and food types (raw and cooked rabbit). 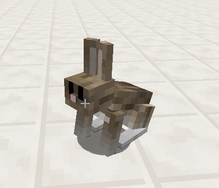 Rabbit stew will be the second kind of stew added to Minecraft and has been added as part of the 1.8 update. 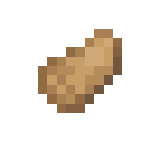 Toast is obtained using a nametag renamed “toast”, or a spawn egg renamed “toast”. The Killer Bunny has a change of 1 in 1000 in spawning, and is hostile. 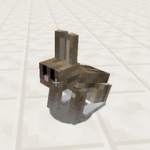 Minecraft rabbits can be bred by using carrots, golden carrots, and dandelions. When a bunny is bred, it is always the color of one of its parents. When taming a Minecraft rabbit, it uses the same mechanics as any other tamable mob. You feed them carrots until they no longer take carrots. Rabbits exhibit the same breeding patterns as pigs. Untamed rabbits behave in similar to those of ocelots. 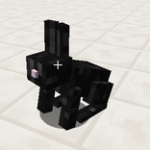 If you move towards a minecraft rabbit too fast, it will get scared and run away. Hold a carrot in your hand, hold shift, and they will come to you. Rabbit hide is dropped from a rabbit upon death. 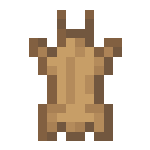 Four rabbit hides arranged into a square in a crafting table output 1 leather. Raw rabbit is a drop that drops upon the death of a rabbit. When consumed, the player will receive 3 hunger points. 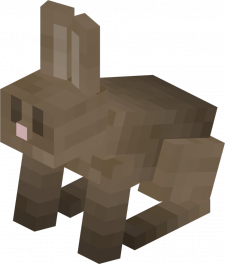 Cooked rabbit is obtained when a Minecraft rabbit dies while on fire or when raw rabbit is cooked. 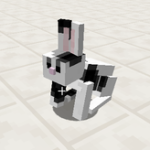 Cooked rabbit gives a player 5 hunger points when consumed.